This page is for information about Northwest control-line Precision Aerobatics model flying and links to Stunt discussion sites. Your contributions of articles, photos and links to Flying Lines are welcome. Contact the editor. Note: Contests that contain events other than Precision Aerobatics may not appear here but can always be found in the Flying Lines News Archive. New! Mike Haverly repeats as Vintage Stunt champion! The 2013 U.S. national championship winners. Paul Walker of Deer Park, Wash., (kneeling) was the Walker Cup winner. Photo provided by.Don Schultz. 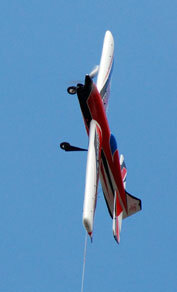 For information about control-line precision aerobatics worldwide, see the Precision Aerobatics Model Pilots Association web site. 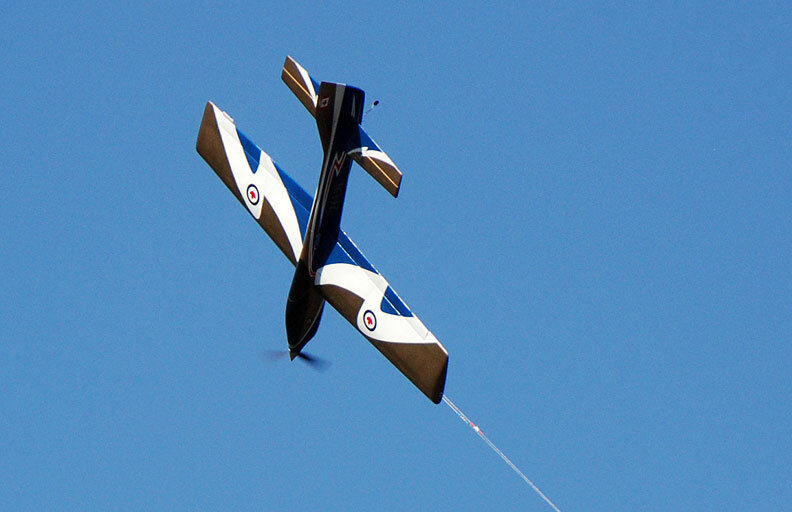 PAMPA is the precision aerobatics special interest group recognized by the Academy of Model Aeronautics. 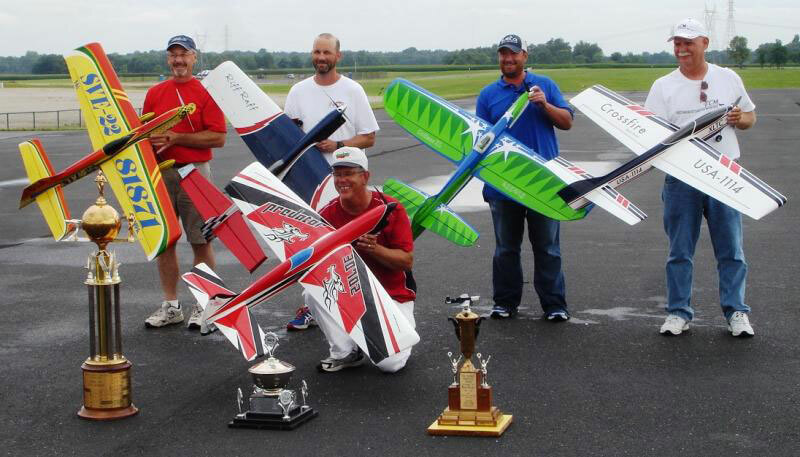 Your District XI representative on the Academy of Model Aeronautics Aerobatics Contest Board is Paul Walker. Hangar Flying control-line forum hosted by Phil Brown. Ultra Hobby Products control-line forum, another CL flying forum.